‘Digital’ is a buzzword among marketers, today. 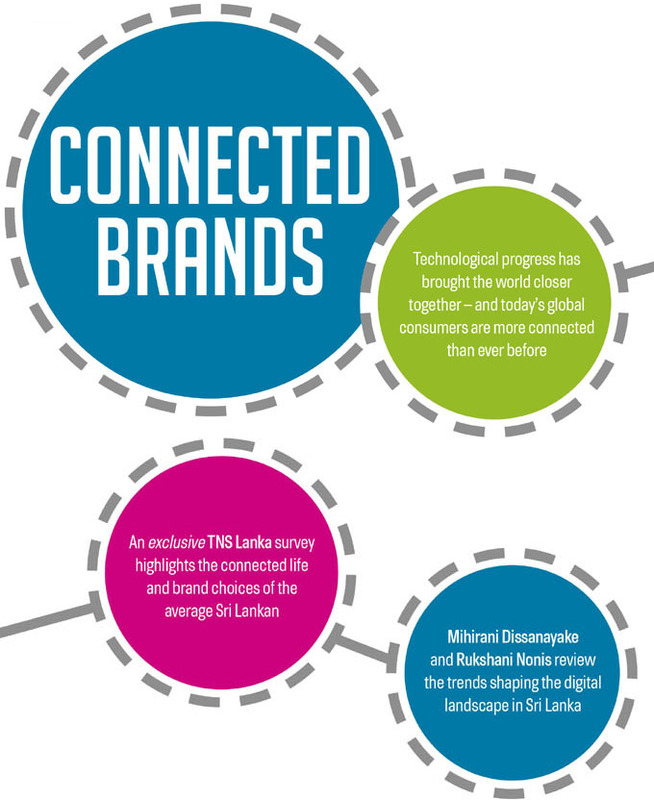 According to the digital study Connected Life – the base for the Connected Brands rankings conducted by TNS Lanka, exclusively for LMD – the region that drives global digital development more than any other is the part of the world in which we live. And Sri Lanka is not far behind others in the region, in terms of the speed at which people transform their behaviour, to catch up with the rapidly growing digital ecosystem. If you are reading this Cover Story and have a few decades’ experience in Sri Lanka, you’d know that until very recently, the citizens of this country were dependent on television as the major source of media. This holds true even to this day, to a certain extent. Most Sri Lankans would gather around their TV in the living room, following a typical day’s work, to watch their favourite teledrama or programme. This was a form of relaxation. It was an uninterrupted time slot that was dedicated to the TV, in addition to being a prime time that was exploited by marketers to reach out to customers. However, the bitter truth is that, when an advertisement pops up in-between TV programmes, viewers found it to be a nuisance and distraction. Indeed, the norm has been to change the channel during advertisements – or tune out subconsciously – only to return to the same channel a few minutes later, to continue viewing the regular programme. While there were TV advertisements that people enjoyed watching over and over again, many others were poorly executed. This frustrated would-be consumers. This was typical one-way communication, where brands tried to talk to customers about themselves – albeit only regarding the positives, as brands wouldn’t risk saying anything negative about themselves! We had to listen to these brand stories, whether we liked it or not. We were allowed fewer opportunities to react to brands, even if we had any feedback, be it negative or positive. It was a similar story, when it came to consumers’ post-purchase behaviour as well. Due to a lack of channels for consumers to communicate with brands, a negative experience with a product or service left them frustrated. They could talk about their negative experience, but at best, it would be among their closest friends or neighbours, or by lodging a complaint through a call centre, a complaints box or visiting the relevant shop, branch or outlet. Reaching out to a brand was a long and tiresome process, so much so that most customers resolved to silently moving away from it. While the popular marketing adage is that ‘the customer is king,’ this kingship took a merely silent (but dangerous) form, without a voice. The shift in access to – and attitude of people towards – digital platforms has enabled customers to have a conversation with brands without being mere listeners. 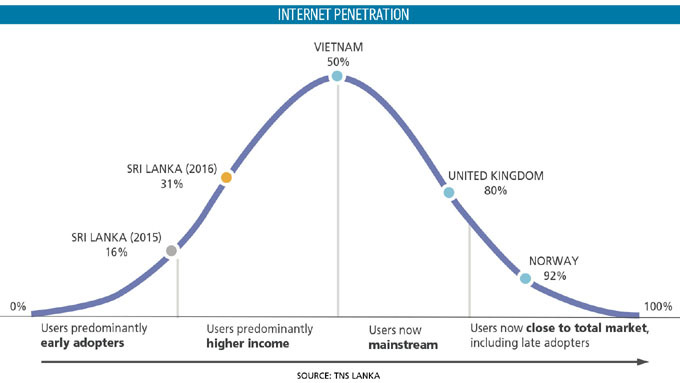 According to the 2016 TNS Connected Life study, Sri Lanka recorded a growth of 99 percent in Internet penetration – with Internet usage of at least once a week – over a single year. This demonstrates a major shift in digital accessibility here, in Sri Lanka. On the other hand, the study indicates that ownership of smartphones among connected individuals has grown by 52 percent year-on-year – and that such individuals use two or three social or instant messaging platforms every day. There is no doubt that millennials are the most active in the digital landscape, and that they have little or no space for TV screens, today. They feel closer to their mobile device, which is ‘everything’ to them. Millennials do watch TV, but this is on-demand TV – i.e. at a time that is convenient to them, and when they have the need and mindset for it, rather that when the TV station broadcasts a programme. When they do sit in front of a regular TV, only six to seven percent of millennials pay undivided attention to it, while around 25 percent resort to screen-stacking – i.e. shifting between multiple screens, such as from the TV to a mobile, laptop or tablet. While screen-stacking might be highest among younger groups, it comes as no surprise that it is common behaviour among all age groups, and is no longer a millennials-specific trend. Gradually, screen time is being shared among multiple screens – mainly between the TV and mobile. This demonstrates how different touchpoints add to the media landscape, which makes the task of marketers much more difficult. It also opens up many more ways and means by which to reach out to customers. Digital is an added touchpoint; but it has not replaced TV in this country – at least, for the time being. It has provided a two-way communication platform for marketers as well as customers. Today, the customer has been crowned king in a more effective manner, thanks to the change in the digital environment. Moreover, any brand – irrespective of its market share, equity and saliency – has been given a platform to compete equally with large and known brands. 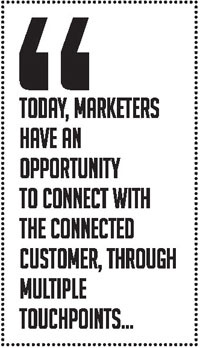 So today, marketers have an opportunity to connect with the connected customer, through multiple touchpoints. Customer connectivity is expected to grow rapidly in Sri Lanka. 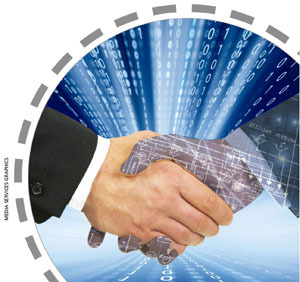 Those who are connected are more open, and prefer to be connected through digital media. They tend to like and share brands messages or content through social media. The attitude of the ordinary Sri Lankan is moving towards this digital era. Thus, brands have the added responsibility of being ‘connected brands,’ to optimise this opportunity in the market. It is important for brands to move beyond broadcasting, and begin conversing with their customers, consumers or shoppers, to build a strong relationship and generate brand advocacy. 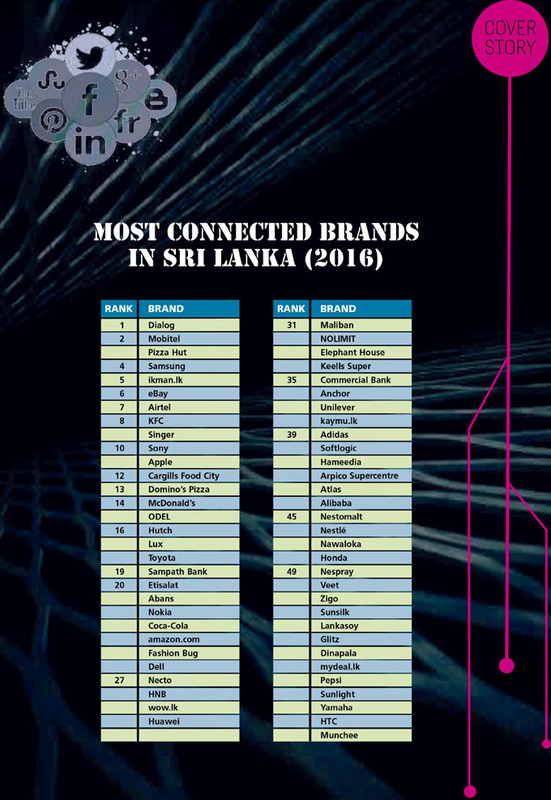 But are brands in Sri Lanka ready for this journey – and are they digitally well-connected? 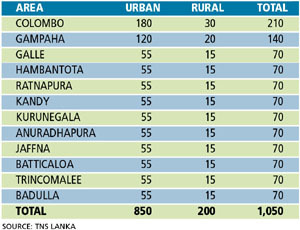 The 2016 TNS Connected Life study asked these questions from connected Sri Lankans, with 1,051 connected individuals between the ages of 16 and 65 participating in the survey. They were questioned on all the brands they have encountered, and with which they have interacted through mobile apps, SMS, email, websites, social platforms and online purchasing. Thus, the study ranks brands that have entered the digital era successfully, to actively and effectively connect with their customers through digital platforms, at relevant moments. BACKGROUND Advancements in technology have brought the world closer together. In today’s world, therefore, consumers are more connected than ever before. This means that customers are more exposed and demanding – the world of marketing has evolved, as a result of this evolution. Moreover, social media has played its part in changing the game. 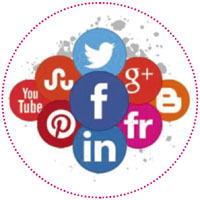 Instead of simply receiving information, social media offers customers an opportunity to connect with a brand and share their experiences. Thus, marketers need to take control of customer experiences across a broad range of platforms. They must strive for greater responsiveness, while staying alive to the reputational risks that can result from doing so. As consumers move across multiple channels and adopt more advanced devices, targeting audiences becomes a more complex task, and brands need to be active across all these devices to handle the resulting media fragmentation, which is a challenge even for the most connected marketer. To take full advantage of their investment in real-time marketing, marketers need to understand what content is gaining the most traction in the community – and how it is performing across paid, owned and earned media. While many marketers have jumped on to the social media bandwagon, to create a branded presence on Facebook or Twitter, their presence needs to be effective and attractive to the customer, for it to generate results. The main objective of the research was to uncover brands that are actively and effectively connected with their customers though digital platforms. CONNECTED BRANDS Multiple avenues are available for brands to connect with their customers. For the purpose of this study, all modern and digital paths – except for traditional media such as TV, radio and print – of marketing were captured, as follows: mobile applications, SMS, email, websites, social platforms and online purchases. 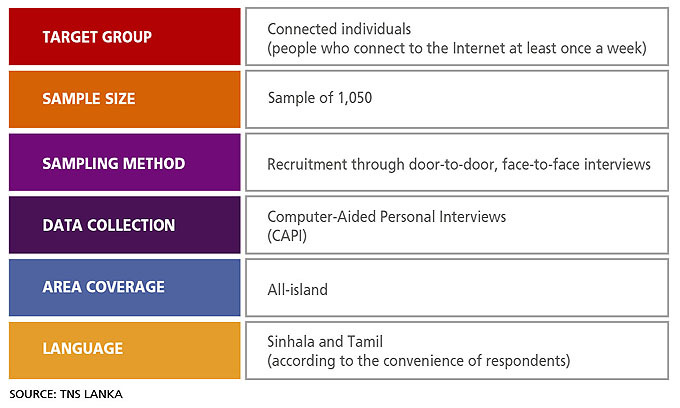 The study was randomly conducted through computer-aided face-to-face, door-to-door interviews (CAPI). A tested and validated structured questionnaire was used for data collection. Accordingly, the rankings reflect the sum of responses pertaining to brand interaction through any digital source, which includes the use of apps, SMS, email, websites, social platforms such as Facebook and online purchasing. RESEARCH PROCESS Two structured questionnaires were prepared by TNS, for the purpose of data collection for this study. The ‘recruitment questionnaire’ enabled surveyors to screen any ineligible respondents, and select only individuals who are connected to the Internet at least twice a week. The second questionnaire was the ‘primary questionnaire,’ which featured questions on the parameters on which the different platforms of brand connection were built. It was structured in a systematic manner, as follows. STEP 1 Overall brand connection: Respondents were asked about all the brands they have encountered, and with which brands they have interacted through mobile apps, SMS, email, websites, social platforms and online purchases. STEP 2 Category-wise brand connection: As it is equally important for brands to appraise themselves regarding their connectivity, against competitor brands, the same question was asked specifically for two categories. The categories covered in the survey were automobiles; telecommunications; construction; banking and insurance; retail; hospitality, travel and leisure; baby care; electronic and mobile devices; food items; beverages; fast food; personal care; education; agriculture; health care; fashion and accessories; household care; real estate; and entertainment. The published ratings reflect overall brand ratings, based on consumer awareness. The TNS Field Executive who was in charge of the data collection oversaw the fieldwork, while the Field Manager was responsible overall. The Project Co-coordinator and Researcher monitored the progress of fieldwork, and were available to resolve minor issues that arose during its course. They guided interviewers to conduct interviews in line with the rules, regulations and requirements of the survey. The supervisors also carried out a number of spot checks, by accompanying the interviewers, to observe the manner in which interviews were conducted. The entire data file was subjected to logical error testing. All logical conflicts and mismatches were checked by the Data Analyst, by running a cleaning programme. Along with the Most Connected Brands survey, a study was conducted to identify the lifestyles of connected consumers. This study report (which is available for purchase) provides a thorough understanding of the usage and habits of connected individuals. 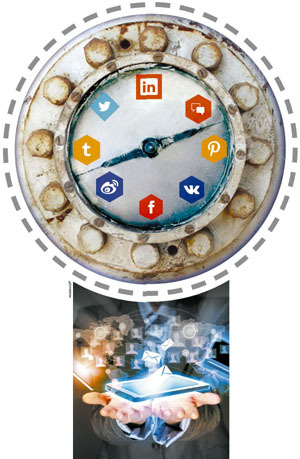 It facilitates contextual targeted marketing campaigns for different groups of individuals, which are based on device and media usage by time of day. It offers insights into planning media and core communication campaigns, by considering the channel mix, to optimise exposure. In addition, the study reaffirms communications through multichannel and multiplatform strategies. Moreover, the study identifies opportunities to optimise and integrate primary operations in the connected space. For example, it would help in devising online and online-offline hybrid offerings, by reviewing the purchase-path patterns of connected individuals. 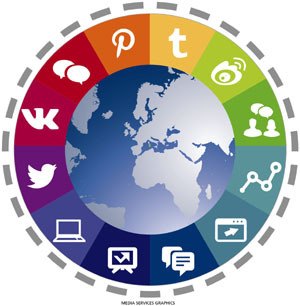 The study also helps understand key information on digitally empowered integrated marketing tools – such as content marketing, for example – while providing an understanding of the reach of Internet penetration and connected lifestyles in Sri Lanka.